Your company’s image is one of the most important conditions for attracting and retaining top talent. Your current employees also play a key role in creating and enforcing that image. So how do strong onboarding practices build your brand and retain top talent? The current workplace climate for employees is similar to the consumer experience: employers market to potential employees and employees “shop around” for organizations they feel they can stand behind. Because of this, companies and leaders spend a great deal of time and resources to attract and hire top talent, but the investment in these new hires seems to stop there. Why is that? According to Gallup researchers, only 12 percent of employees strongly agree that their companies are doing a good job with onboarding new employees. This means that once employees are in their positions, they are seriously let down. This affects your company’s brand now and potentially for years. Your employees’ brand loyalty begins with the onboarding process, and employees share their experiences and conclusions about the company for weeks, months and even years after they are hired. So if they feel that the company failed them during onboarding, they are going to let others know. If you want to create strong brand ambassadors for your organization, you need to start at the onboarding level. In order to create strong onboarding practices for employees, leaders who engage in training strategies that securely integrate new employees into the work culture are more successful than those who do not. There is nothing worse for a new employee to not understand group norms of behavior that make the work culture thrive. Relationships can suffer. Work productivity is slower. Unnecessary conflict occurs that results in an unhappy new employee who commiserates with friends and family. There goes your brand. 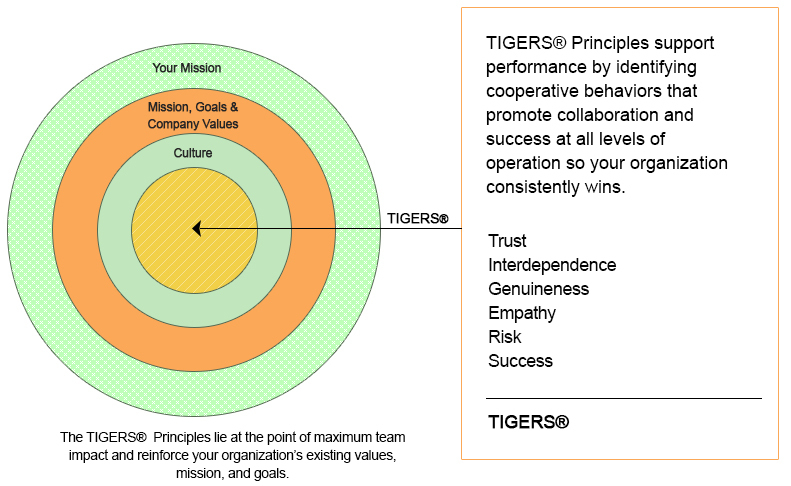 TIGERS® tier one Leader as Facilitator training releases the use of the TIGERS Team Wheel™ exercise that teaches employees the behaviors that build strong working relationships and behaviors that create measurable and predictable problems. Once your employees have identified their behavior norms that support a cooperation-based work environment, this tool can be used to onboard new employees into company behavior expectations that takes away the guesswork and hesitation that naturally comes with being a new employee. The facilitation methods and best practices leaders learn create high levels of commitment and accountability for successful workforce and department behavior that supports roles, goals and relationships in your organization. It is also the first step in creating cross-functional problem solving teams that minimize conflict and misunderstandings on new teams from the start. This program teaches managers how to create department or company-wide norms of behavior that employees are involved in creating and sign off on. So when new employees are hired, onboarding practices have the potential of being so much more than new employee orientation. Trained managers and HR executives can take new hires through the exercise and then hold important discussions on how to fit well into the existing teams. This way, the sink or swim outcome of orientation is eliminated by clearly coaching the employee on how to be successful at work and in co-worker relationships in the organization. The employee learns what makes existing teams comfortable and what behavior makes them uncomfortable. In this way, the relationship development of new employees is enhanced so they are anchored more fully into their work and co-worker relationships. Employees want to feel connected to the organization and their roles. When they do, they are more likely to remain loyal to the brand and will become brand ambassadors for the organization. This brand loyalty starts with the onboarding practices, so when you evaluate your current onboarding process, you need to ask the right questions to determine where your strengths and opportunities exist. Are employees able to identify your organization’s standout traits? Gallup research finds that only half of employees strongly agree that their organizations have a unique way of doing things. One reason is because few onboarding practices share why the mission, products and services are distinct and valuable. Are employees able to see how their job helps to fulfill the company’s mission? 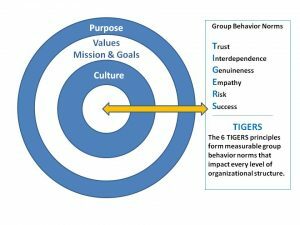 Employees need to understand how their positions work with the company’s mission or purpose, and they need to see how they personally impact the brand or customer experience. If they feel that their job matters, they perform better, show up more and provide better quality work. Are employees experiencing the brand, mission, company values and group behavior norms during onboarding? Employees need to understand your company’s purpose, brand and culture during the onboarding process in order to perform most effectively in their positions. Your organization’s onboarding practices are more important than you may think. Strong onboarding practices are the first step in turning your employees into brand ambassadors for your organization. The employee experience directly affects your candidates for the hiring process Therefore, it makes sense to invest time and resources into strong onboarding practices. The first step is to invest in leadership training so they understand the behaviors that create strong teams and how to best train incoming employees so positive behaviors continue. When you take a look at your current strategies, ask yourself the right questions. Can employees identify your organization’s standout traits? Are employees able to see how their job helps to fulfill the company’s mission? Are employees experiencing the brand, mission, values and behavior norms during onboarding? With the right onboarding practices, leaders create strong brand ambassadors for their organizations. Care to dig deeper into onboarding practices?